Tonight was our annual Book Club White Elephant Gift Exchange Christmas party. I started this tradition a few years back when we realized that getting a book read for December was tough due to the holiday and travel demands of everyone in the group. I hated to miss an opportunity to gather so I began this wonderful tradition. The rules are simple...you cannot buy a gift but rather you must find something in your home that you no longer want! It's amazing what we have come up with over the years but this year was particularly interesting. One of our favorite parts of the evening is trying to guess who brought what and that always reveals a little bit more information about each one of us! The gifts are given out via Yankee Swap...each gets a number and you can either draw from the pile or steal someone else's. We always have at least two rounds and it gets a little rowdy sometimes, especially because as is the case with all White Elephants, there is always some treasure that emerges as a fan favorite! This year it was a little stuffed dog lying on a cute white pillow. A couple of the women could see that a granddaughter or niece might really like this cast off gift! I feel that I ended up with an enviable gift. 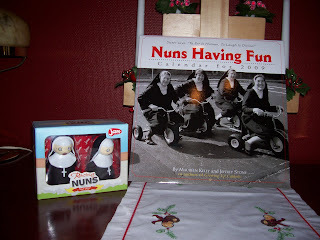 A matching set of "racing nun dolls" along with a "Nuns Having Fun" 2o09 calendar that is filled with hilarious photos and captions. I just couldn't pass it up and it has actually inspired me to begin collecting bizarre religious kitch...we've received several of these types of gifts through the years and it's amazing what's out there in the name of religion. Most profoundly, in the midst of our laughter and joy, we shared our heartfelt love for one another and proved once again that the gifts we give to one another have nothing to do with how much money gets spent. We have way more fun exchanging these throw aways than we ever could by seeking to buy one another "real gifts." The real gift is the way in which we care for one another and extend love and concern to one another. I've received it. I certainly hope that the others have received it from me. Recently, a woman (not in our book club) who we most of us love and admire in the American Women's Club, lost her husband quite unexpectedly. I felt that we couldn't really dive into the frivolity of our evening without acknowledging the gift of friendship that we share and the bond of love and support that we now extend to our dear friend. I asked my book club friends to join me in a moment of prayer as we started our evening. They all willingly participated. It was a tender moment, one filled with tears and love and a recognition of the true gift we are to one another. The night was filled with much laughter and much joy. But we also took time to acknowledge that many in our midst are struggling. 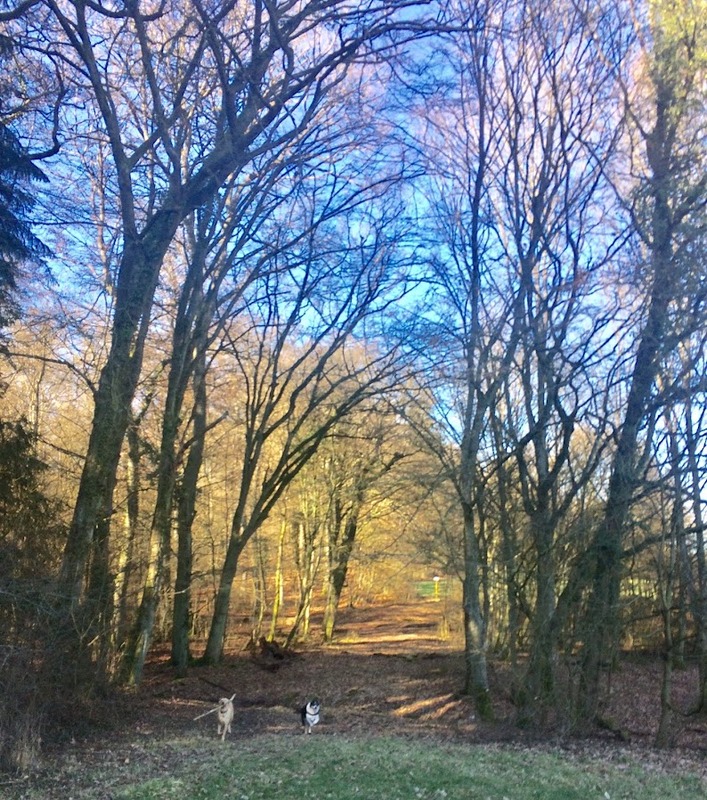 Family members are ill, futures are uncertain and changing, longings remain. But we offered our prayers to God and pledged our support to one another and that my friends is no White Elephant Gift. It is the real deal...the genuine article. My book club friends have come to mean a great deal to me and in the midst of our laughter there is also often tears and always we come away refreshed, renewed, inspired and thankful. I hope each of you has a place where you find the same.